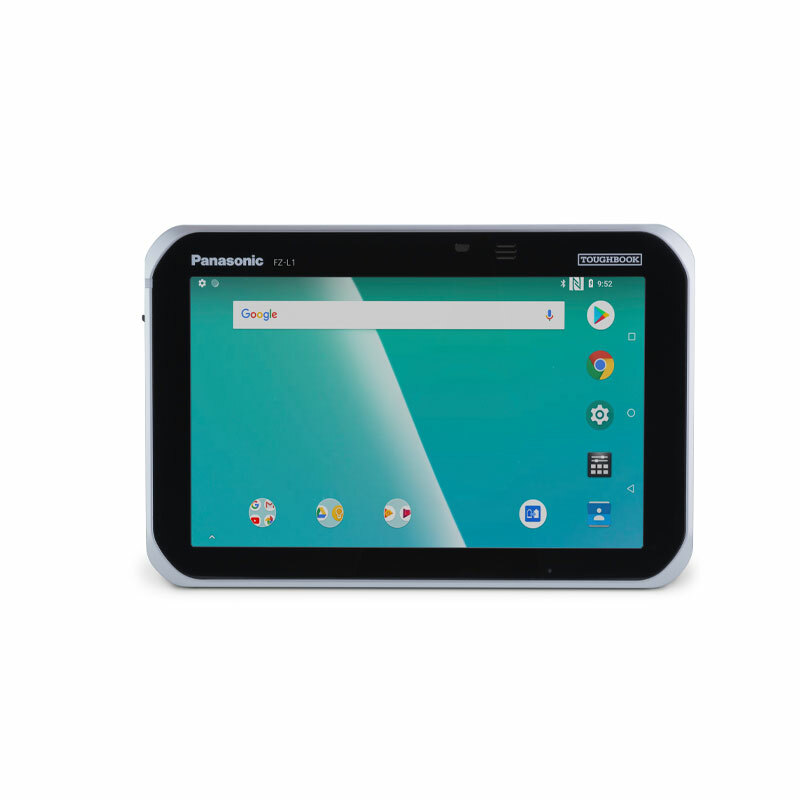 The Panasonic TOUGHBOOK FZ-L1 is a smart tablet computer for multiple applications. It excels with a classy design and a weight of only 440 g, perfectly suitable for field representatives or for tasks in the hospitality or retail sectors. Due to its rugged construction, the TOUGHBOOK FZ-L1 can also be used in rough environments, such as production or warehousing and logistics. 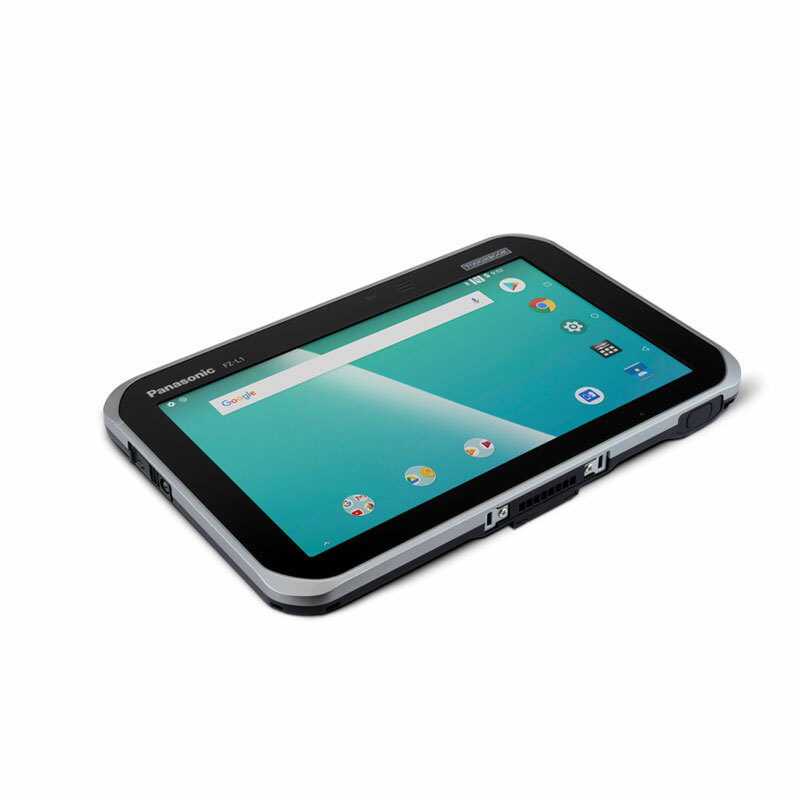 The TOUGHBOOK FZ-L1 tablet runs the Android operating system, ensuring long-term reliability. The Panasonic TOUGHBOOK FZ-L1 comes with the Android 8.1 operating system. 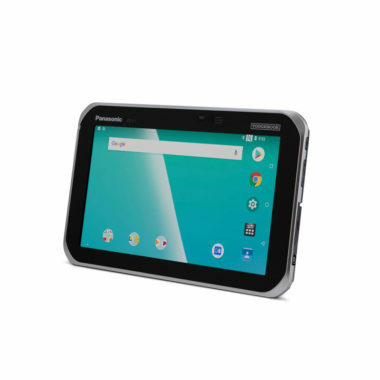 It is compatible with Panasonic’s “Complete Android Services and Security” (COMPASS), a software tool that was particularly developed for enterprise use of the Android operating system, allowing customization and management of Android applications and providing high security solutions. The TOUGHBOOK FZ-L1 is equipped with ARM TrustZone security. For optimal data processing, the tablet comes with a 1.1 GHz Qualcomm Snapdragon MSM8909 quad-core processor with 2 GB RAM and 16 GB eMMC, which can be extended via Micro SDXC card. To ensure convenient operation, the Panasonic TOUGHBOOK FZ-L1 mobile computer has a large, 7-inch HD touch screen. The display with the anti-reflective surface can be read comfortably even in bright environments. It is possible to use the touch screen with gloves and it remains operable when it gets wet. The mobile terminal TOUGHBOOK FZ-L1 by Panasonic is a versatile tool. It provides Qualcomm WiFi (WCN3660B a/b/g/n/d/h/i/r), Bluetooth 4.2 Class 1 and GPS as a standard. Optionally, 4G LTE is available, for example, to support field workers and ensure flexible mobile voice and data communication. Many industries rely on barcode technology. This is why the Panasonic TOUGHBOOK FZ-L1 can be equipped with a scan engine for 1D and 2D barcodes as an option. The tablet also comes with an 8-megapixel rear camera. The long battery runtime ensures power for at least an entire shift. The battery is warm-swappable and can be exchanged without shutting down the computer. Mobile computing at its best, with a slim and still extremely rugged solution. The Panasonic TOUGHBOOK FZ-L1 can withstand shock and vibration according to MIL-STD-810G. It is resistant against drops from a height of up to 150 cm. The terminal complies with protection class IP67, ensuring protection against the ingress of particles and water. The operating temperatures range from -10 °C to +50 °C.